10% Discount on all Dresses delivered or collected in December!! As we fast approach the end of what has been a fantastic year for EireDesigns, plans are well underway for design and production of dresses for those competing in the Glasgow 2016 World Championships. Our design and production teams are working day and night to deliver for our customers in the run up to this event – next year’s event falls earlier than usual (March 2016) and as a result we have limited time to measure, design and produce than normal. EireDesigns set the highest standards in design and quality and garment manufacture and are committed to delivering the perfect dress EVERYTIME, but we need your help! By placing your order before Friday 27th November 2015, I can personally guarantee that your dress will be available for the 2016 World Championships and as an additional incentive I would like to offer you a 10% discount on the cost of any new dress, ordered before 27th November 2015 and delivered before 22nd December 2015. This gives us enough time to discuss new designs and present you with the perfect dress for the 2016 World Championships. Thank you for your understanding and if you have any questions, please do not hesitate to give my colleague Alanna a call on +44 28 9032 2182 or email her at alanna@gavindoherty.co.uk. Finally I would like to take this opportunity to thank you for your valued custom over the years and I look forward to speaking to you again soon. P.S. Don’t forget to follow us on TWITTER & FACEBOOK – just click on the buttons below! The Dress. The Dancer. The Dance. Champions Checklist- Some helpful tips! 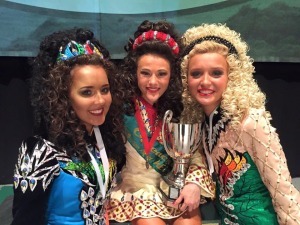 Eire Designs coming to Mid-West and Southern Region Oireachtas!